At the Cité international des arts, in the courtyard, Martine Bartholini exhibits a large piece of art, placed on three desks. 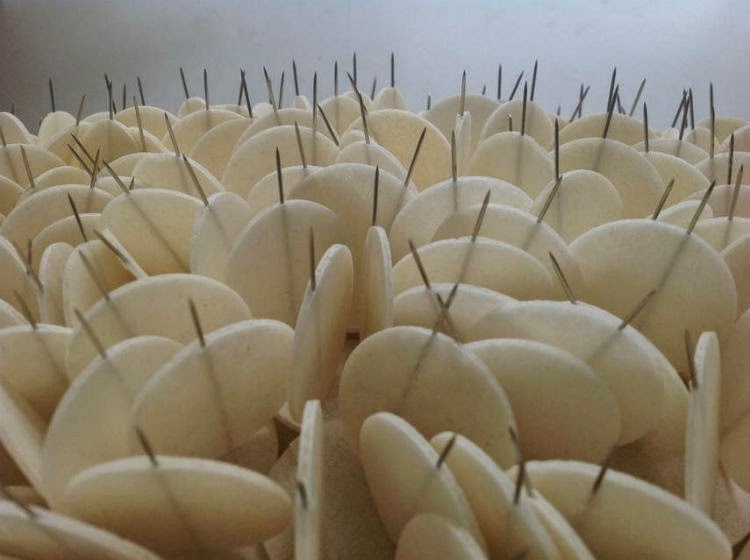 Her piece of art is like a large winged siren made of the Host (consecrated bread) and pins. 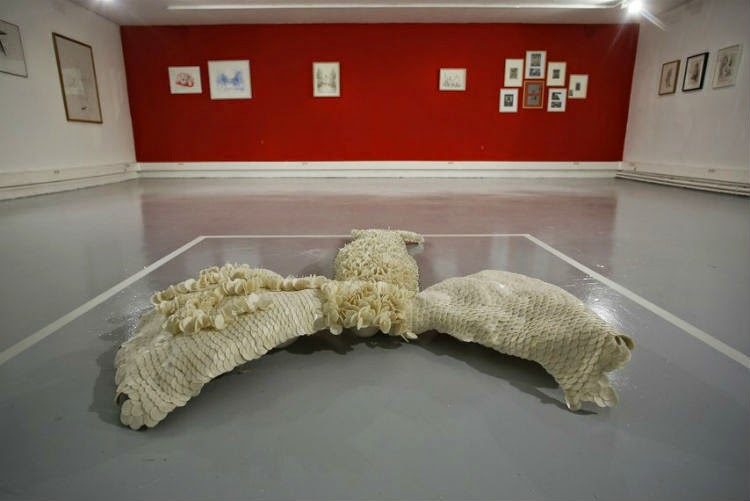 The Host, on certain section of the piece, are tightly assembled seeming to be fish scales. 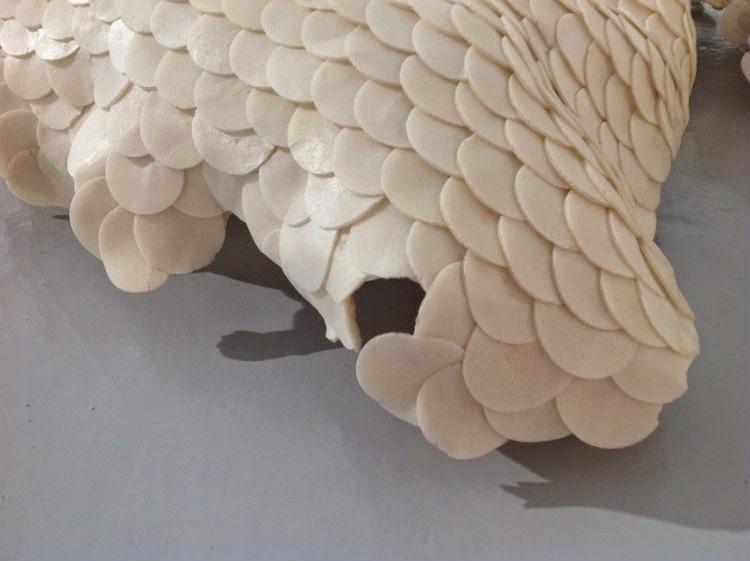 With this strange material Martine Bartholini creates gracious curved shapes. This is a fragile sculpture. Martine has to be very cautious with this material. The humidity makes the Host rotten and the varnish makes it melt! The piece has a short life expectancy. But that doesn’t matter for this artist. Her purpose is to use some material in a completely disconnected meaning, away from their genuine usage. Indeed, this is the title of her open house Détournées (Hijacked). Very interesting use of non-traditional materials!